Their first product, the UV Lure Light is the first of many to come. Wildly popular because of its power and convenience, it allows fisherman to quickly charge their glowing lures. 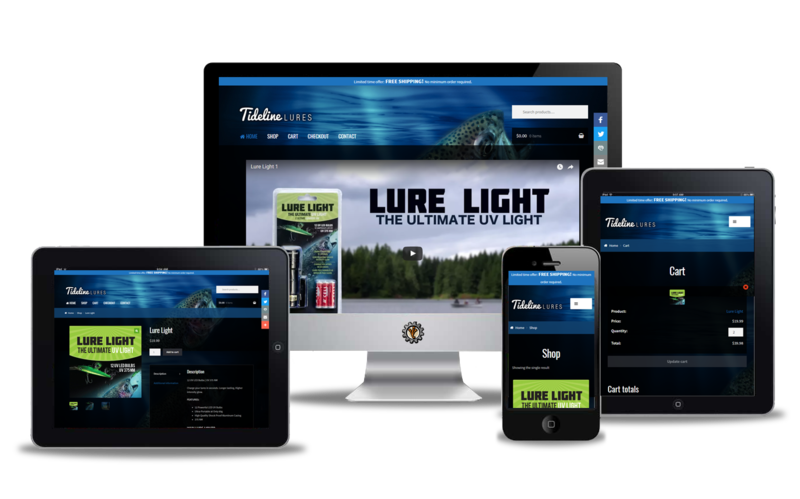 Redesign an easy to use website that provides a showcase for a new product line of fishing lures and accessories. Shelby has helped us re brand and re launch our new website. She has been a valuable source of knowledge and inspiration for us. Her approach is professional, and clearly spoken. We were told what to expect from her services and she came thru on all her promises. Shelby was able to take our vision and come up with a well thought out format that is easy to navigate and has a very professional polished look. She took a genuine interest in our business and made us feel confident in our decisions. We highly recommend her services.